Today you can get your first look at the official series trailer and key art, both featured below! 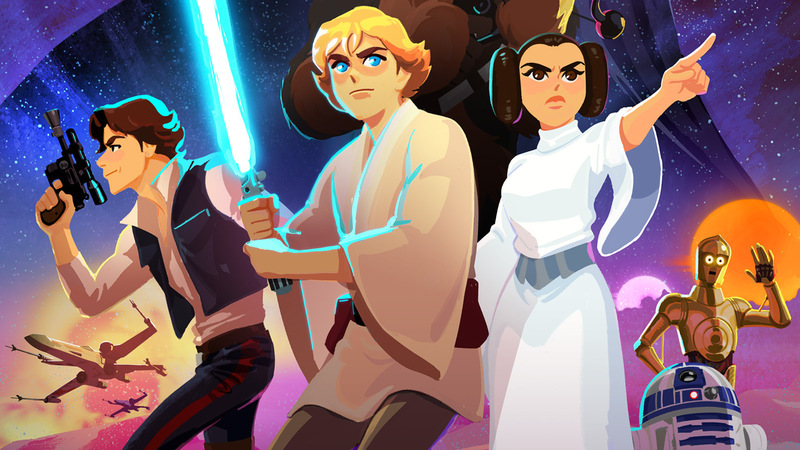 StarWars.com recently sat down with Waugh to talk about parenting Padawans, the educational aspects of teaching children about the saga, and how Star Wars Galaxy of Adventures can put younglings on the path to becoming Jedi Knights. The importance of family runs deep in Star Wars storytelling, both in the sense of bloodlines and the found families that help so many characters reach their full potential. 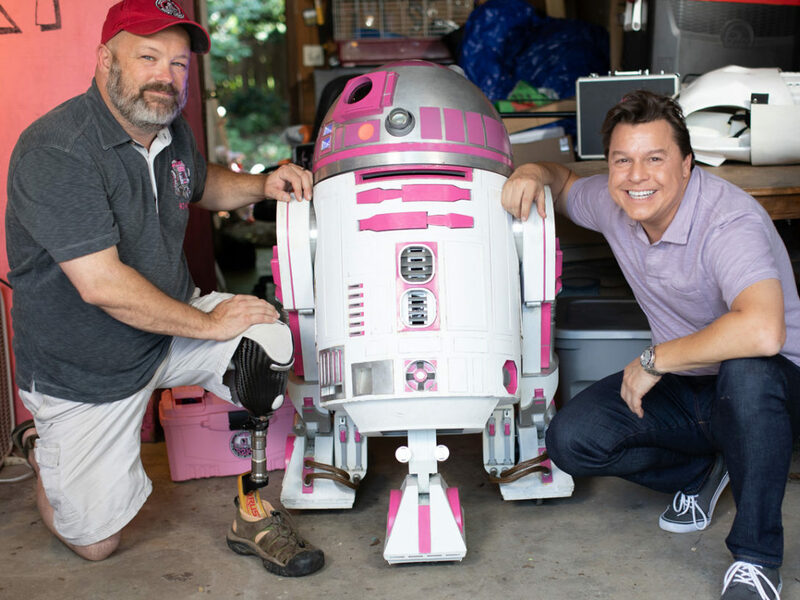 More than four decades after the first film hit theaters, older Star Wars fans are always looking for ways to share their love of the galaxy with the next generation of Padawan learners. Of course, Star Wars has long been accessible to kids of all ages, including adults who are still kids at heart, stretching beyond the boundaries of genre to revel in timeless mythological themes. 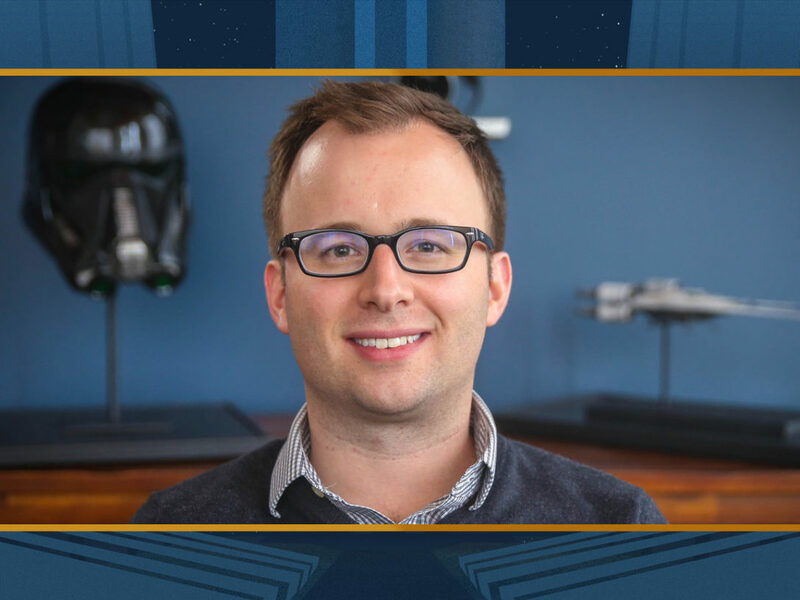 “We’re passionate about our fans, and passionate to develop content that continues the Star Wars story in a deeper way, filling in the story gaps around the movies, and expanding the universe and its characters in new and more mature directions,” Waugh says. “But we’re also passionate about what Star Wars can be for kids — to light up those early imaginations. 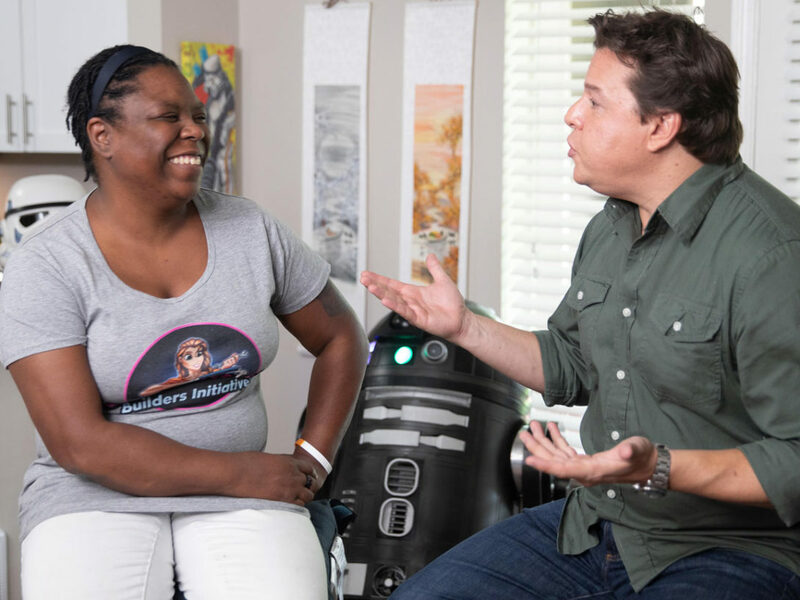 It’s a fairy tale, a mythic landscape that was designed to inspire.” Creating content that speaks directly to kids bridges the gap “and allows for Star Wars parents to pass back this love to their kids,” Waugh says. 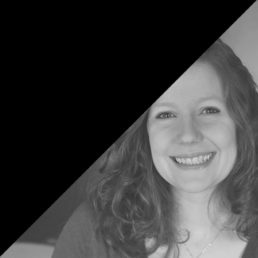 Children in particular respond to bite-sized content, but Waugh notes that with digital media at our fingertips, everyone today is engaging more and more with micro-content. 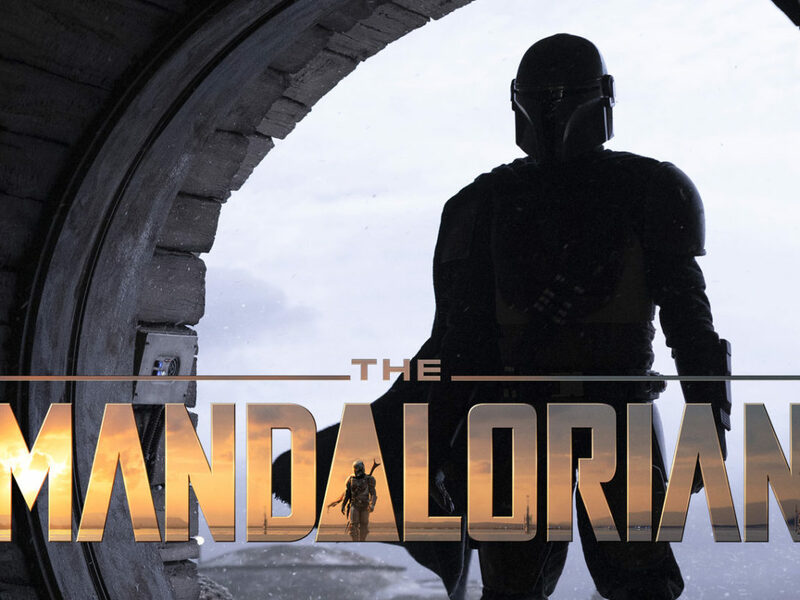 That gives the creative team behind the new series — director Barry Kelly and Titmouse Animation – the chance to play around in the Star Wars galaxy. 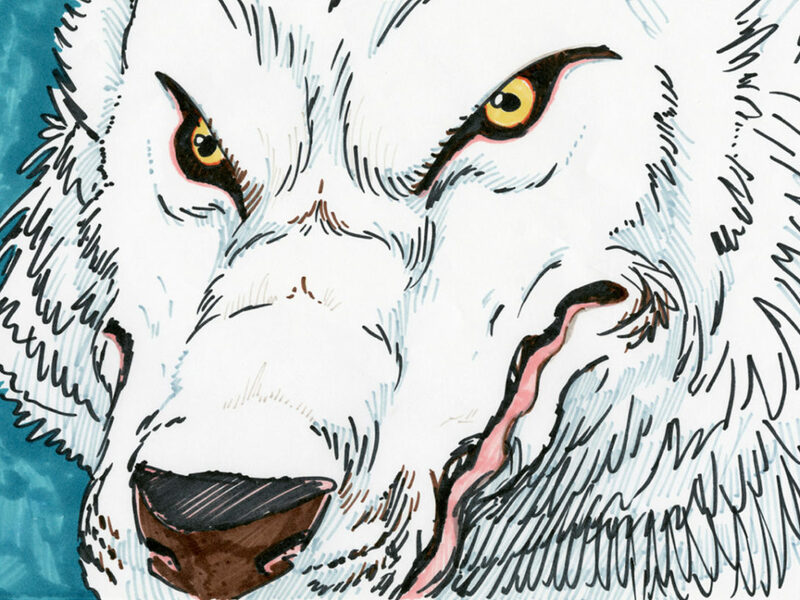 “It allows us to really drill into moments, to tell simple stories, unencumbered by the needs of a traditional narrative structure — it’s allowing the creators to play more, experiment more,” Waugh says. The series also includes a complementary piece of entertainment, mixed-media shorts on Star Wars Fun Facts, as well as guides to help older fans continue the conversation after the credits roll. 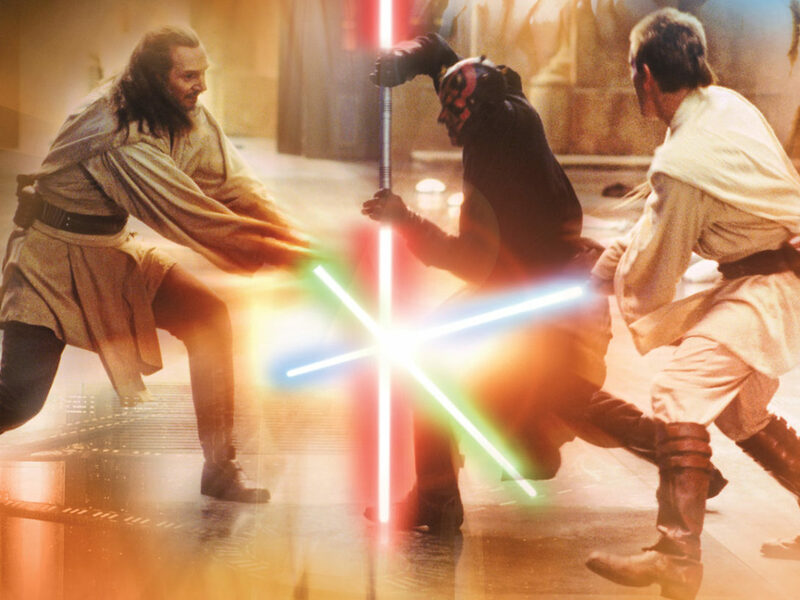 “One of the wonderful aspects of the Star Wars universe is that you can always explore more and go deeper into the fiction.” Luke receives his lightsaber in the introductory short, “and there’s also a Fun Facts that focuses on all the cool elements and history of lightsabers in general,” Waugh notes. In addition, a new line of Hasbro toys will be available on December 1, exclusively at Walmart and then nationwide in January 2019. At its core, the series is celebratory of Star Wars. “Star Wars continues to evolve and grow over the years but it’ll always be anchored in those original films that started it all,” Waugh says. 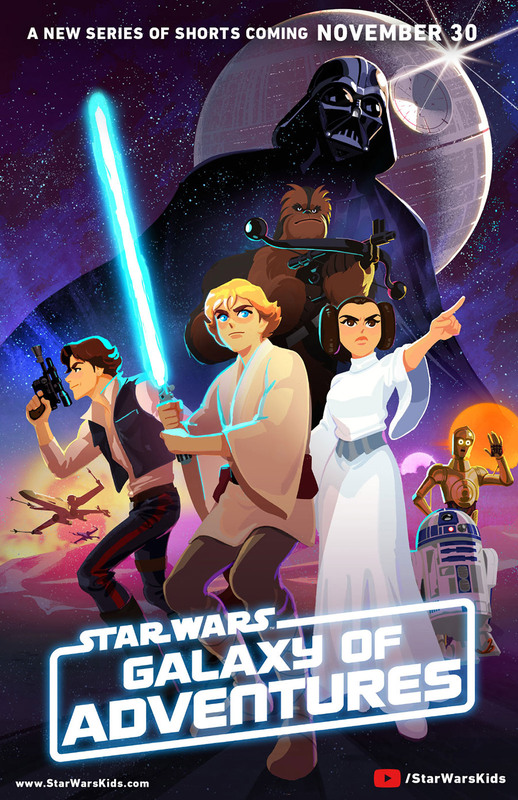 “Galaxy of Adventures is a fresh way to introduce an entirely new and younger generation to those concepts, characters, and themes.” The new series aims to give children the first kernels of the story and allow the joy of their imaginations to take hold. 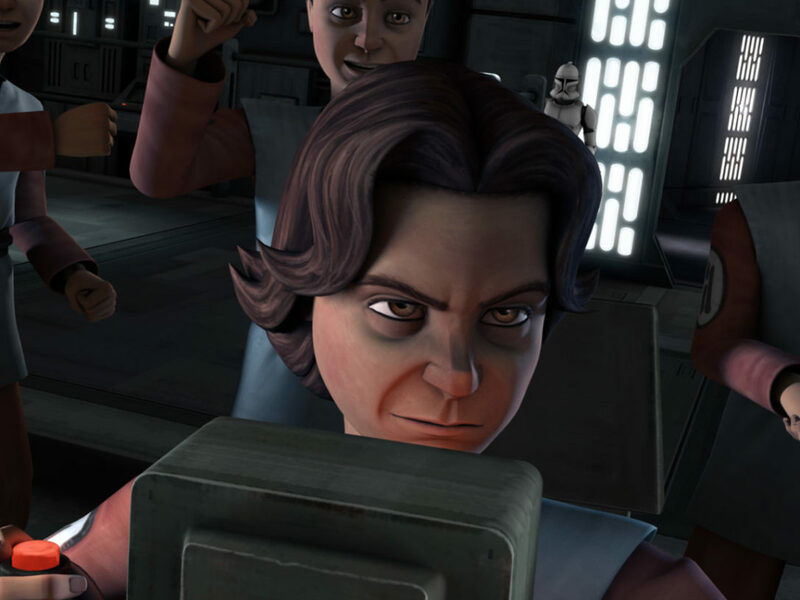 “Creating content that is unabashedly for kids in this bite-sized, unique animated form, allowed new moments to evolve out of the old, new ways to look at the content, and ultimately expanded the potential of how Star Wars should look and feel. Hopefully it expands the horizons of younglings everywhere on their path to becoming Padawans and ultimately Jedi Knights,” Waugh says.